We're talking bets we'll see those Poggipolini magnesium case covers for our Multistrada in the next Ducati Performance Parts Catalog. 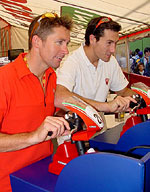 Somewhere in Italy, February 1st, 2004 -Ducati enthusiasts know of Poggipolini as the small Italin manufacturer of exotic aftermarket race components for their Bolonga bombers. 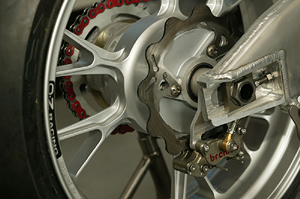 Company president Stefano Poggipolini designs and manufacturers lightweigh titanium components used by many MotoGP and Superbike teams including NCR and Ducati Corse. 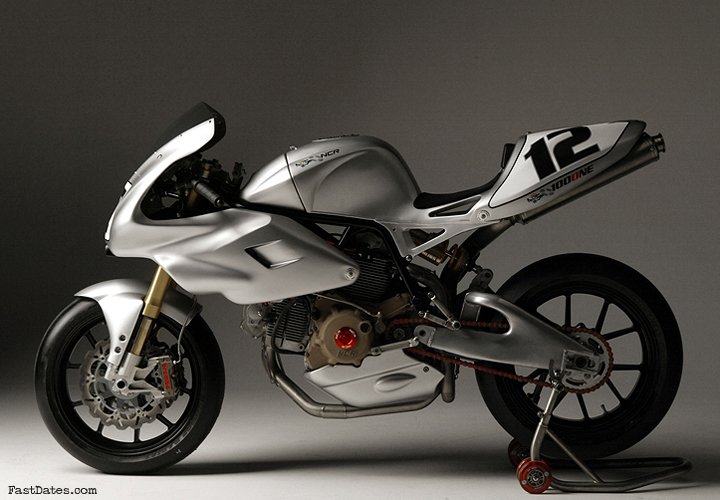 Their Ti subframes and components are featured in the Ducati Performance Parts Catalog. 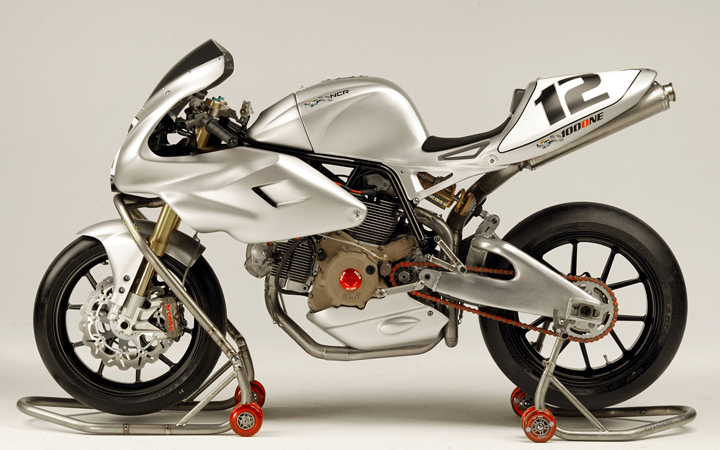 So when Stefano decided he want to build his own racebike you had to expect it would probably be the lightest, most exotic, simple and functional bikes on the plant featuring a Ducati powerplant. Carrying the simplicity of that bike as far as possible, the bike was to be based on Ducati's most basic and simple air cooled powerplant, the DS1000 V-twin introduced in the Multastrada. The result is Stefano's beautiful MILLONA 1000NE. This is a purpose-built track bike with incredible attention to detail. Designed by Aldo Drudi, the MILLONA has gone through several incarnations in its developmental cycle. Abundantly blessed with carbon fiber and a hand-formed aluminum gas tank, the MILLONA strikes a perfect balance of form and function. The Ducati 1000 DS emgine is nestled in a custom Cr.Mo. frame. Ohlins front and rear, Marchesini wheels, Dunlop racing slicks and Poggipolini Titanium components hold everything in place. The exhaust is a titanium SilMotor with single exhaust and the clutch is STM. We really can't see why anyone would buy the Standard Edition with the stock DS1000 engine, when for a mere $10,000 more you can get the full race puppy with all the trick racing suspension as pictured here. 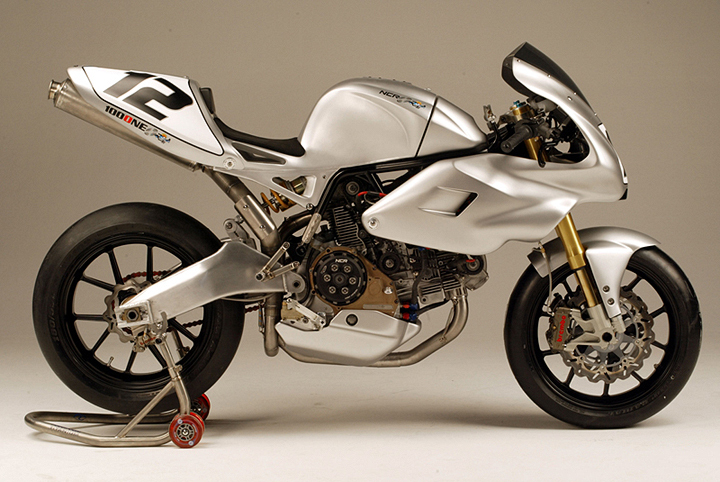 The MILLONA racing version had its first shakedowns during 2003 in the "Battle of the Twins" series in Italy. 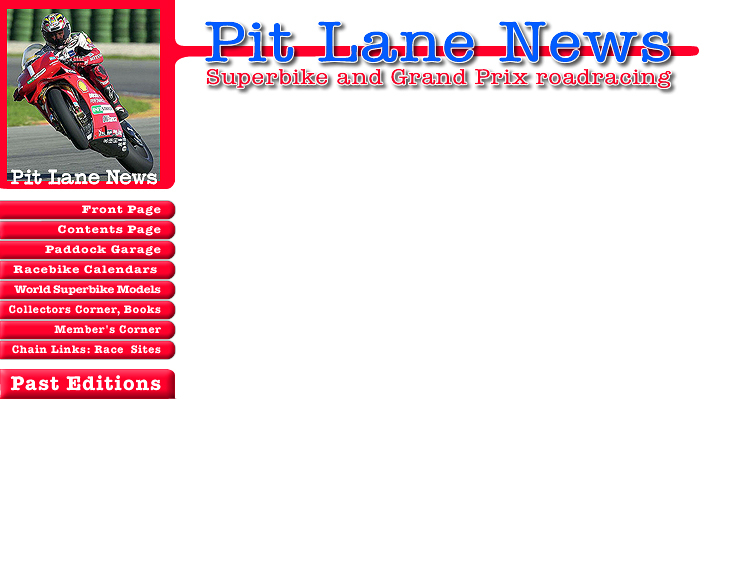 Three races entered, and three races won. First place at Misano, first at Vallelunga, and first at Mugello--an impressive launch for a bike fresh out of the design studio. The racing version weighs 115 kg dry and delivers 107 CV (104 hp). Light and agile, the MILLONA has become a monster on the tracks of Italy. Six MILLONA are presently in the building process for European customers and Stefano has reserved four slots for the USA. These hand-built racing motorcycles are carefully assembled to your specifications in the NCR racing factory where Stefano's guidance is always present. No two MILLONA are identical and significant interaction with the customer will be required during the build process. If you're interested in having Stefano create a MILLONA for you, please contact their US distributor RaceMetal.com at customercare@racemetal.com.